Electric guitars, guitar amplification, and the birth of Rock-n-Roll in the 1950's collectively established a new use for loudspeakers. Speaker choices were limited in those days and amplifier manufacturers had to purchase products that were common to other applications. Usually, this meant a low-power speaker, often with an Alnico magnet, and limited cone and coil travel. Due to the nature of the speaker's construction, the sound of the guitar and amplifier combination was impacted by the speaker design. Amplified guitar was a bit more aggressive duty than most other speaker applications at the time and the speakers were frequently challenged in terms of their mechanical movement and linearity. Guitarist learned how to control these non-linearities and use the resulting tonal characteristics to their advantage. Speaker break-up became cool and was a desired feature by most guitarists. The great guitar tones we know now are a result of those events. Although there are a multitude of distinctive guitar speaker tones available today, they can be broken down into two main categories. We have Marshall and Celestion to thank for the distinctively "British tones" that we are so familiar with. 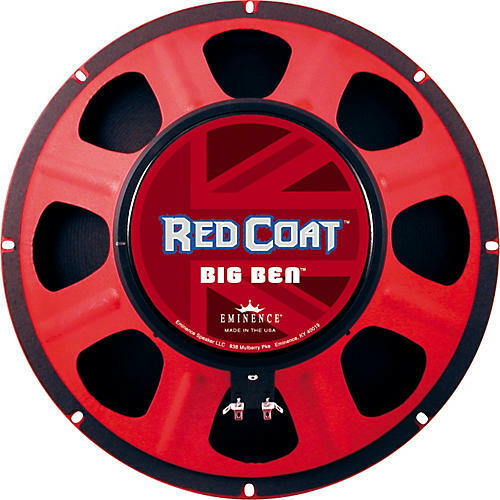 Fender, Peavey, and SLM (Crate/Ampeg) worked with speaker companies like Eminence, Oxford, CTS, JBL, and Electrovoice to establish tones that are distinctively "AMERICAN"